Mix 1-6 oz Greek Yogurt in a bowl with 1/2 finely chopped cucumber and 1 Tbsp Tzaziki spice. Let sit for 2 hrs. or overnight for best results. 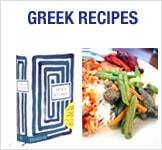 Simply Greek Spices, Rubs and Seasonings add the perfect flavor to your culinary creations. These product recipes were developed from spending countless hours in the kitchen observing my two grandmothers preparing great tasting meals with a lot of spice and love added. In memory of my grandmothers and my Greek heritage, I developed Simply Greek to make it simple for you to create extraordinary meals! 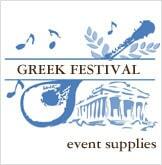 Enjoy the experience and make Simply Greek a new tradition. Garlic, Sea Salt, Pepper and Spices.